DSC_5398 | I said WHAT????? Sri Harmandir Sahib (“The abode of God”), also known as Darbar Sahib, (Punjabi pronunciation: [dəɾbɑɾ sɑhɪb]),  informally referred to as the Golden Temple, is a Gurdwara located in the city of Amritsar, Punjab, India. 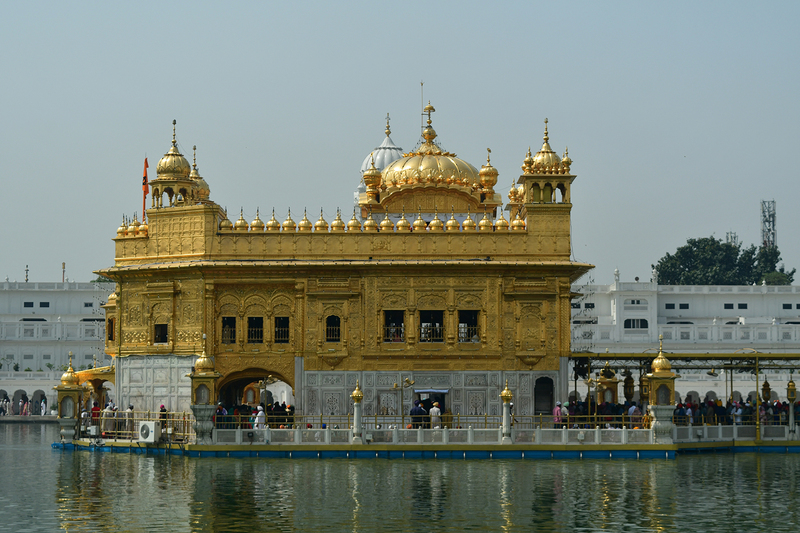 It is one of the most revered spiritual sites of Sikhism. Amritsar (literally, the tank of nectar of immortality) was founded in 1577 by the fourth Sikh guru, Guru Ram Das. The fifth Sikh Guru, Guru Arjan, designed Harmandir Sahib to be built in the center of this tank, and upon its construction, installed the Adi Granth, the holy scripture of Sikhism, inside Harmandir Sahib. The Harmandir Sahib complex is also home to the Akal Takht (the throne of the timeless one, constituted by the Sixth Guru, Guru Hargobind). While the Harmandir Sahib is regarded as the abode of God’s spiritual attribute, the Akal Takht is the seat of God’s temporal authority. The construction of Harmandir Sahib was intended to build a place of worship for men and women from all walks of life and all religions to worship God equally. The four entrances (representing the four directions) to get into the Harmandir Sahib also symbolise the openness of the Sikhs towards all people and religions. Over 100,000 people visit the shrine daily for worship, and also partake jointly in the free community kitchen and meal (Langar) regardless of any distinctions, a tradition that is a hallmark of all Sikh Gurdwaras.